It is a sad week for those of us who had the great fortune of knowing Chris Lytle. She lost her horrific battle with cancer on Saturday and we miss her terribly. Chris had a deep impact on me personally, as well as on Ciao Bambino. She was my very first client after I launched the company around offering family-focused trip planning services to Italy in 2004. 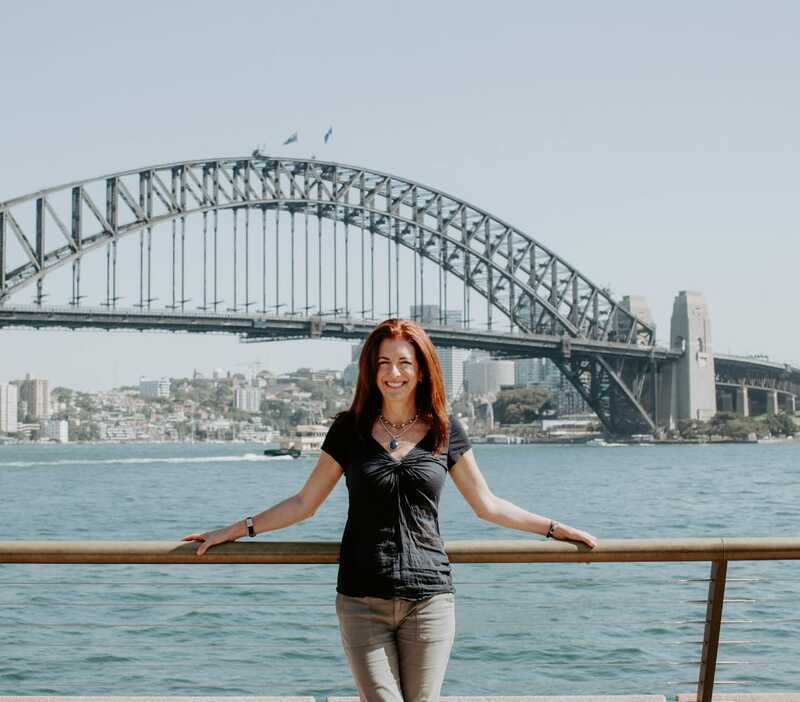 Although I had no prior travel industry experience and had only been to Italy once with my own child, Chris put her faith in me and let me plan her holiday with her mom and toddler-aged daughter. The rest is history. Chris loved her trip; her positive feedback and encouragement empowered me to work tirelessly to develop Ciao Bambino over the past seven years. Our relationship didn’t end there. Chris found Italy with kids to be so magical that she decided to work with me to help other families travel to Italy. Chris was my first employee and subsequently planned trips for a long list of happy and grateful Ciao Bambino clients. We became fast friends. It was impossible not to be drawn to Chris. Her laugh was infectious. Her charm was ever-present. You could talk to Chris for hours and never run out of things to say. 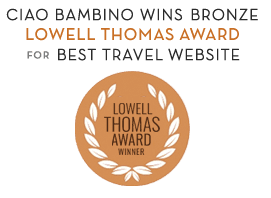 “I was beyond pleased to receive my first email from Chris and what followed for the next 6 months were the most helpful emails and phone conversations a travel newbie could ever ask for. She was professional, funny, patient, and so well-written. Chris developed meaningful relationship with people far and wide. Despite the negative events in her life, Chris miraculously managed to be upbeat and focus on others. Even after Chris was bed-ridden, she still read our blog and lived vicariously — not bitterly — through our adventures. It takes a very special and strong person to do that. “Chris was the loveliest person and I had the best time ever planning with her. I liked her voice and looked forward to her calling me. I could tell she loved her work with Ciao Bambino – it came through in every way, from the places she recommended to the people she knew there. There was one restaurant in Positano that she set up for us where she knew the owner and waiters and told me who to look for and even funny stories about them. Honestly, she planned the best trip my family has ever had and my boys who are now 12 and 14 want another adventure just like the one we had throughout Italy. That last sentence says it all. We never know what life has in store for us; it can and will change in an instant. “Cherish the time we get and spend it with the ones we love.” I’m going to paste these words onto my computer. The incredible benefit of travel is the opportunity to spend uninterrupted time together. Whether you travel to that same favorite spot or visit a new destination each year, family trips are the best way to connect as everyone can break away from routine and ruts. Chris loved visiting Europe. Her last trip was to the Amalfi Coast. I’m so glad she was able to be in Italy again before she become very sick and unable to travel. I can hear Chris’ voice as I’m re-reading her post. Her joy is palpable. I prioritize travel in my life and encourage everyone I know to do so. You don’t need to go as far as Italy to experience the power of getting away from it all and experiencing the unknown. Thank you Chris for the potent reminder about what is important in life. We are grateful for the gift of knowing you. I was so lucky to have traveled with Chris on one of her trips to Italy. The beautiful Amalfi Coast will always remind me of her. Chris’s love for life and for her friends and family were inspiring. I have never met anyone else like her and I will miss her. Melanie and Pete, I feel so blessed to have had such a great visit with Chrissy just five days before she died. She was in and out of sleep but very lucid. She said some wonderful things to me about our family and our stability which I’ll hold close to my heart forever. Wish we could have been there for her funeral to meet some of her friends. What a beautiful reminder in this hectic world to just take the time to spend with family and friends. A lesson we often forget in the chaos of everyday life. My thoughts and prayers go out to Chrissy’s family. I was fortunate enough to have grown up with Chris in Dallas TX. We went to Northwood Hills, junior high & high school together plus faith formation (CCD as it was called back in the early 1980s.) I feel blessed to have had her as a friend. I am deeply saddened by this news of her passing, as I’ve known her so long. Yet, I am not suprised by her strength, faith and courage in facing her battle. I could tell that Chris always possessed a strong faith. She touched all of her classmates lives. I had the honor of speaking with her at our 20 year reunion & remember her telling me of her situation. I was crushed, and prayed for her from that moment. Chris was truly a wonderful spirit. I will always recall the fond memories of her from our childhood/teen years. Again I feel blessed to have called her my friend. God bless her family in this time of mourning.